So I was watching some multi-boxer videos / past streams (boxer name escapes me, was watching a few different ones) and I noticed that pretty much everyone uses nameplates either wow default or tidy plates / threat plates. One thing I noticed is they had them turned on, on all characters. Anyway, I use this on my Jamba Master macro that is called every time I switch to a new character. Very fast, no lag and a substantial FPS increase. I'm still running an I7-4790k 4 core processor so this helps me out a bit with having to share cores. Looking forward to upgrade when the new Intel comes out! I'm not sure but I didn't know about it! gonna try it tonight. Need to squeak out any FPS I can! Guess I suffer from short term (2 years) memory loss! I'm not sure if that old script I posted still works, I do know that with BFA some things were changed, so it may or may not work. I do know this one does work. I also have another hotkey setup that I use before boss fights. 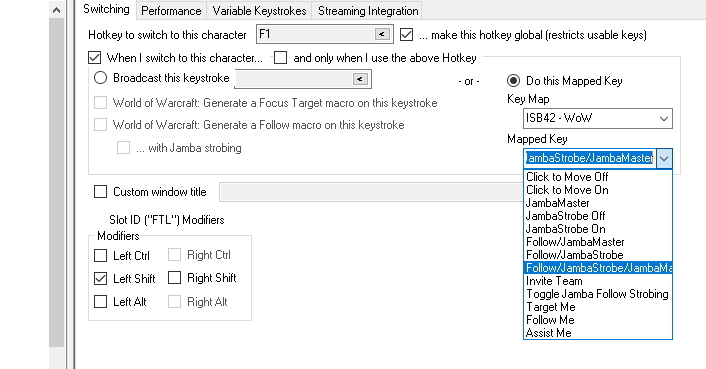 This hotkey will show nameplates on ALL characters. This is because once your in combat you cant show/hide your nameplates (at least it wont work for me). I don't really die on trash so no need to switch characters. But I may die during a boss fight so I like to have nameplates showing on all characters. For me it's a substantial FPS. Imagine running the Motherload instance with all nameplates on all your characters only on a 4 core processor. Ouch before this I would get about 25 FPS. I now get about 40 FPS while there. I suspect the old one has a better chance of working as the syntax at least looks right with the placement of the " and ( and no missing ). No, if you add ")" to the end and fix the " it will no longer work and will throw an error. As it is it works like it should. I just tested the old one and that works as well. I'm still using the old one and it still seems to work. Was just curious if there was some hidden nuance in there. When i want to export this to innerspace i get the error that those wow macros dont have a key assigned. Why do i need that? Isnt there a way to just send the /command to the client without a dedicated key? Am a little confused Or am i thinking the wrong way setting this up in a whole. I would like to do this with rendercale the same way also. Mine is just under the JambaMaster mapped key.